Why is Vibroacoustic Therapy becoming so popular? Home Blog Why is Vibroacoustic Therapy becoming so popular? While vibroacoustic therapy has been around since 1980 it wasn’t until recently that the medical community accepted it as a treatment method for a wide variety of symptoms and illnesses. There are now studies being done on how it is being used to treat pain and other illnesses. You might ask, what is vibroacoustic therapy? 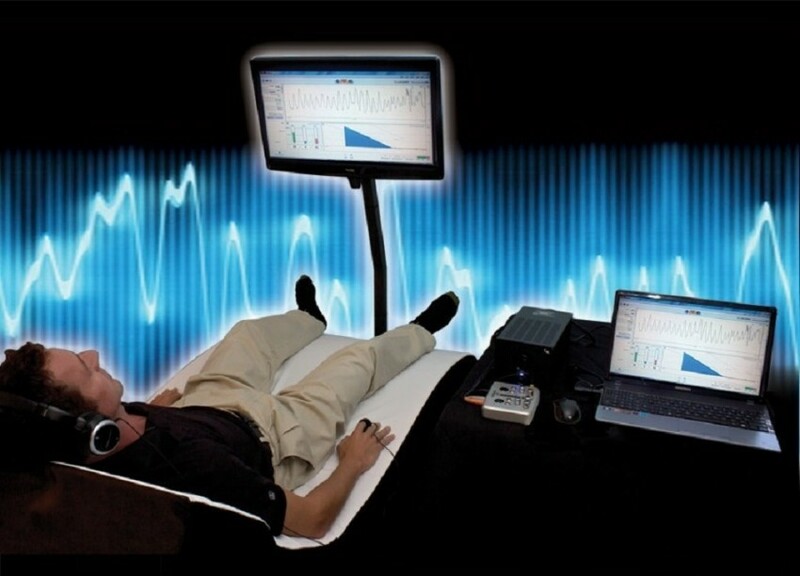 Vibroacoustic therapy is vibrations that are delivered to the body through a mattress, table or some form of furniture that is comfortable to lay on. The vibrations are created by special transducers that turn low sound frequencies, typically between 20hz and 600hz, into healing vibrations that give the body a sound massage. The most popular vibroacoustic system used today is Full Frequency Music (FFM) and this is because these systems are the easiest to use and offer a wide range of applications in medical and wellness facilities. The many benefits of vibroacousitic therapy include a reduction in anxiety, pain, depression, fatigue, muscle tension, and headaches. Vibroacoustic therapy helps induce the body’s natural relaxation response and is used to assist in the rehabilitation process. Dr. George Patrick conducted a study on 272 adult patients at a major research hospital. Dr. Patrick wanted to find out what impact vibroacoustic therapy would have on the patients major symptoms. The study measured the patient’s symptoms pre-session and post- session. The symptoms that were noted most by the patient’s prior to doing a session were tension-anxiety, pain, fatigue, nausea, headache, and depression. The post-session results are astounding. Nausea was reduced by 61%, headaches by 58%, tension-anxiety by 54%, pain by 53%, depressed mood by 49%, and fatigue by 47% (1). This study shows how well vibroacoustic therapy can work to decrease the intensity of certain symptoms. Vibroacoustic therapy is becoming increasingly more popular amongst medical facilities and wellness centers, due in large part because of the results it is having among the patients and the fact that it is noninvasive and has no known side effects. It truly is a holistic treatment method that works! There needs to be an alternative to the damaging prescription drugs that have flooded the pain management industry and vibroacoustics is showing that it can reduce pain among many other symptoms. BioSound Technologies has a unique FFM vibroacoustic system that also incorporates, biofeedback, and guided imagery that helps treat symptoms associated with someone recovering from a substance use disorder. They call this BioSound Therapy. They have had tremendous success with clients suffering from anxiety, withdrawal symptoms, low self-esteem, and even pain.